All fashion trends come and go and then come back again. This month we are looking at the popular print of checkers that Louis Vuitton had dominate the SS 2013 runway. 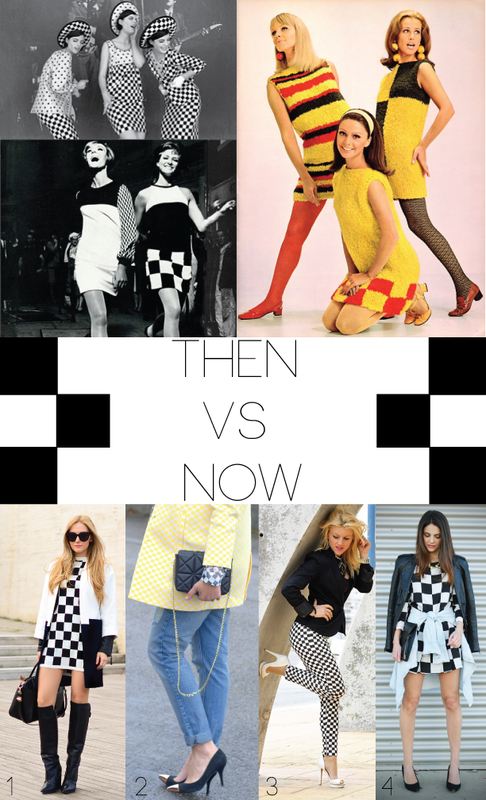 Checkers were huge in the mod era back in the 60's and now 50 years later they have resurfaced in an even more fashionable way! Everything comes back, and it looks wonderful in both decades. i'm totally loving this trend!! louis vuitton is dang on the ball. just saw a yellow checked jacket at zara! Its all about recycling the classics and making them fresh! I love your blog doll. I followed you and I hope you'll do the same. I'll wait for you at my blog!